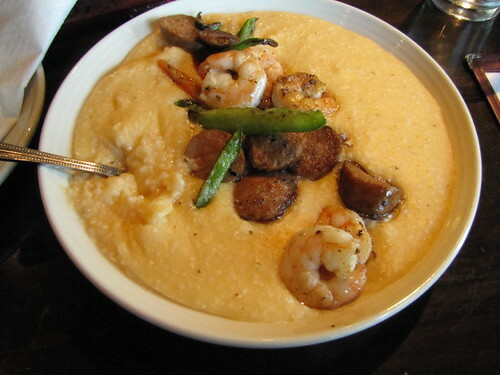 I go out to eat WAY more than I ought to, but when we have all these great places to eat in Atlanta, it’s hard not to! Since I’m so far behind on blog posts, I thought it’d be fun to do just a quick round-up of some of the places we’ve been to eat in the past couple months instead of doing individual review posts. 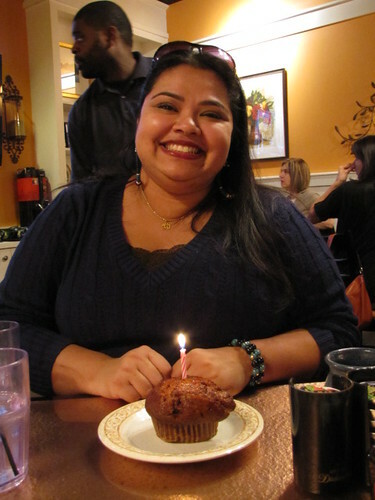 Our very good friend Lopa lives in Roswell, which is about 30-ish minutes away from us, depending on traffic. What I like about all the little cities/suburbs in and around Atlanta are their historic districts, with their “Main Street” vibe — think restaurants, little shops, coffee shops, etc. To celebrate her birthday in December (see how behind I am? 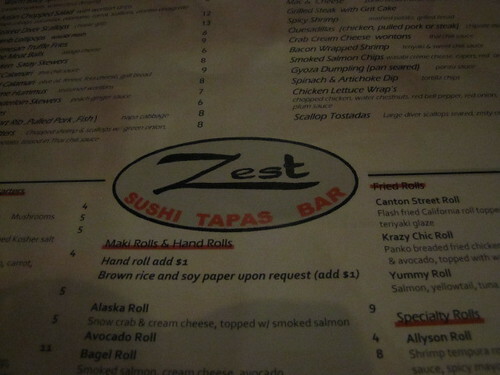 ), we headed out to Zest Sushi and Tapas. 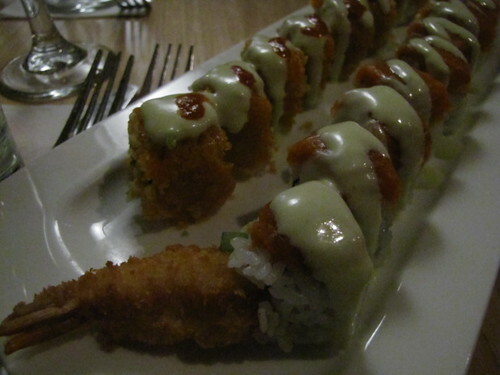 I think combining sushi and tapas is a fun combo, you get to try a bunch of different things and share with everyone. I had quite the challenge with the low lighting in the restaurant, but I think I managed to do okay! We started off with a round of drinks to toast the birthday girl! 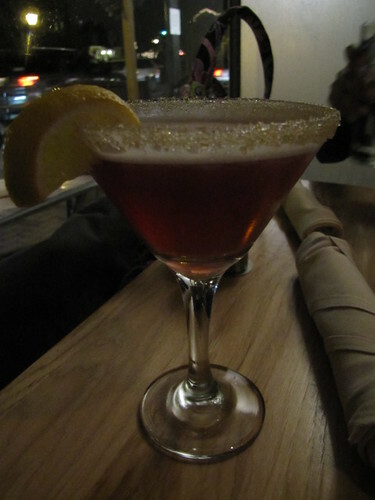 I got a raspberry lemon drop martini. Mmmm! We were experimenting with using our phones to illuminate the food! 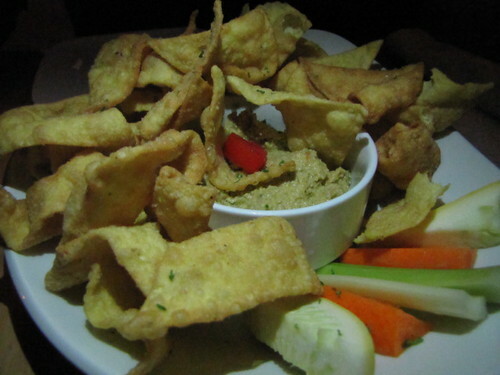 Edamame hummus with crisp wonton skins. 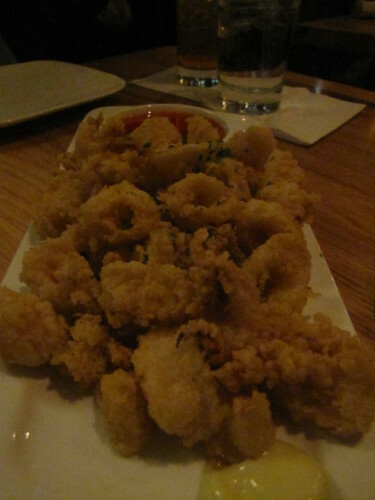 Fried calamari with Thai chili sauce. I have a thing where I can only eat the ring-shaped pieces, not the ones that look like little baby octopi. Sushi time! 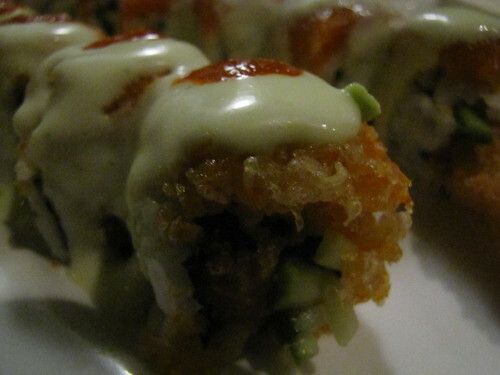 I got an Ashleigh roll, which was a shrimp tempura roll with spicy tuna, topped with a wasabi-cucumber sauce. I think I also got a Kiss of Death roll, which had spicy tuna, cucumber, and masago, and was then topped with crunchy tempura flakes and wasabi-cucumber sauce with sriracha. Spicy!! And too much food, but that’s how we roll! 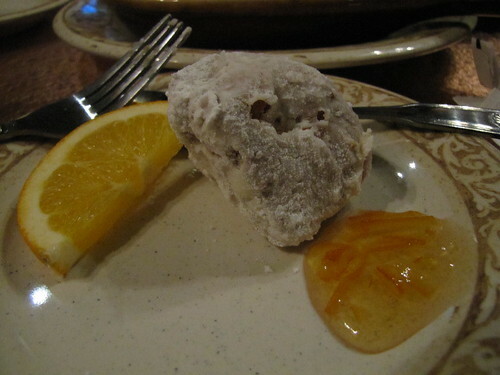 Close up of the Kiss of Death roll. 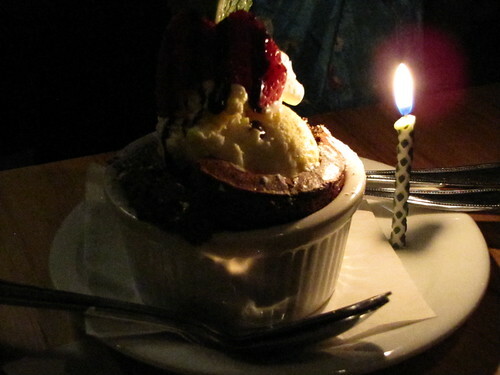 Well, the birthday celebration didn’t stop at Zest that night. After hanging out most of the night, we decided to meet up for brunch the next morning. 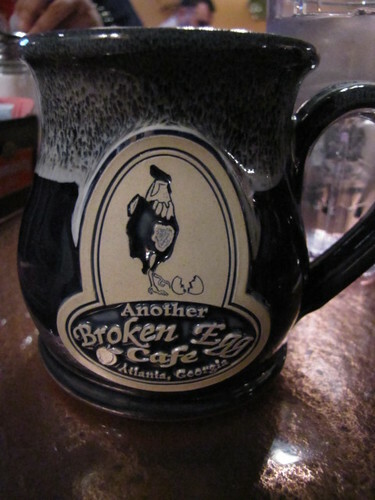 We’ve got a few brunch spots we all like, but we wanted to try somewhere new, so after some searching we found Another Broken Egg Cafe, which has a location in Buckhead. 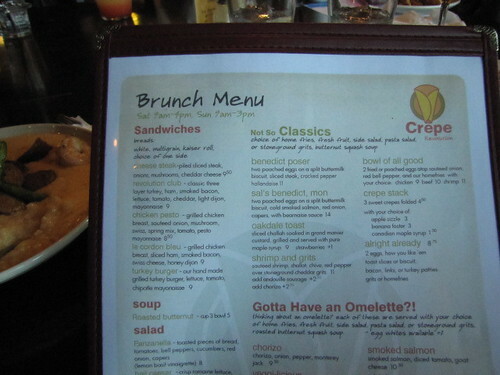 Brunch is almost a Sunday morning sport in Atlanta. You have to time it right or you’ll find a line out the door at most places. Woe be unto you if your brunch spot is near a church and you get there just as services end . . .
We had a bit of a wait that morning, but it was worth it! 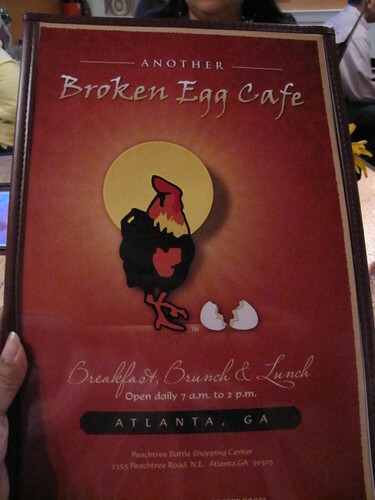 Especially since I think we’ve found our new favorite brunch spot! 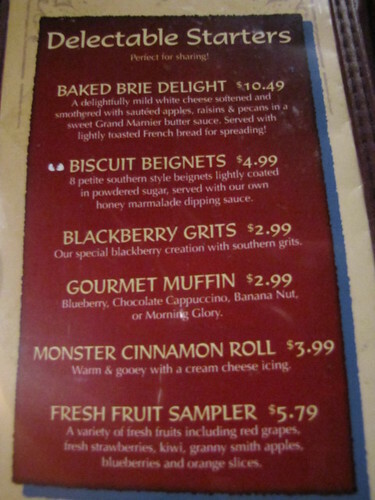 I would say the highlight of the brunch was the biscuit beignets. We were obsessed with these, as evidenced by all the pictures I took of them! 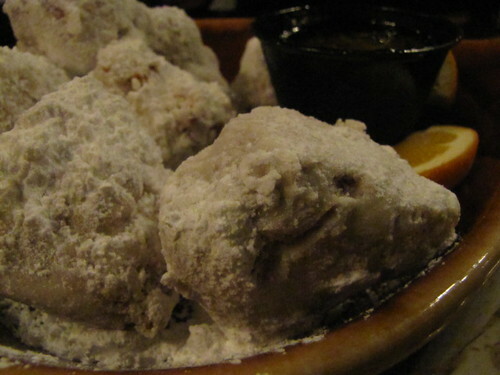 Biscuit beignets and a cup of coffee were the perfect start to this birthday brunch. 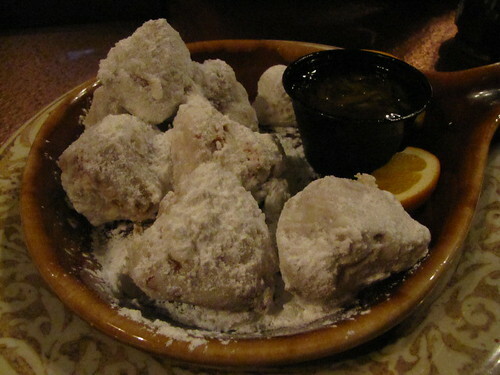 That’s a LOT of food, especially after indulging in the biscuit beignets! Either share or count on taking home leftovers. Well, I certainly get around! 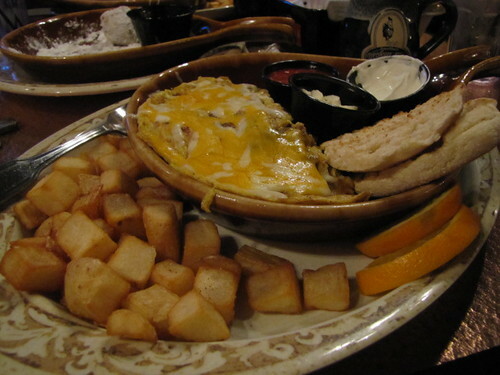 A week later, I found myself with plans for brunch again, with a different group of friends. When I was in college, I did a summer semester in France. To this day, I’m forever grateful to my parents for letting me go. It was really one of the best summers of my life and I have so many memories of it, one of which is eating Nutella crepes at the foot of the Eiffel Tower. It may be a while before I get to do that again, but should the urge for crepes hit me again, I don’t have to go far at all! Crepe Revolution, located a few minutes away from me in Smyrna, has built its reputation on its crepes, but it serves more than that. 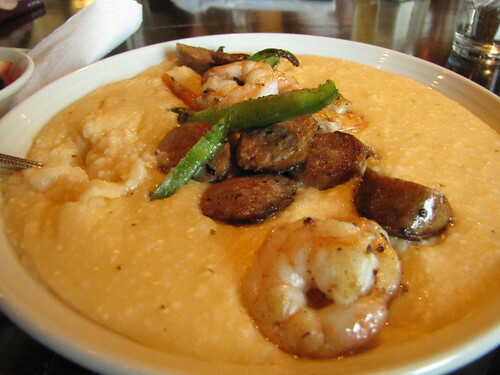 The shrimp and grits caught my eye that day. 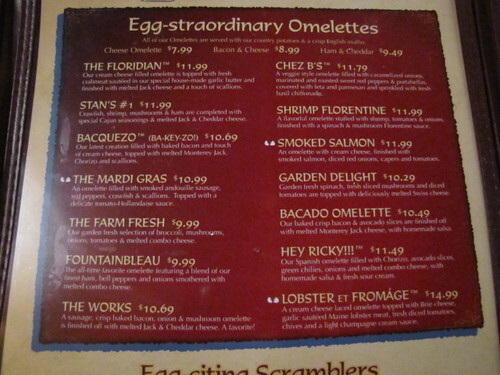 Not to worry, I didn’t leave without having a crepe! 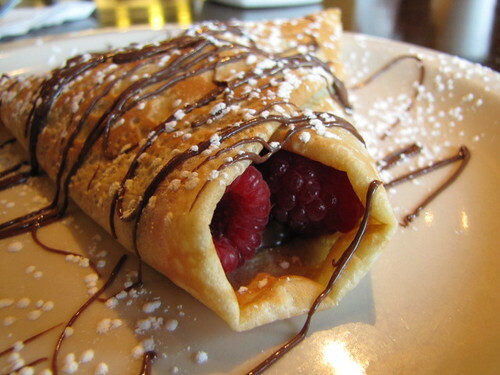 We all decided to order dessert crepes — I couldn’t resist the nutella crepe with raspberries. Oh don’t worry, it tasted as good as it looks!